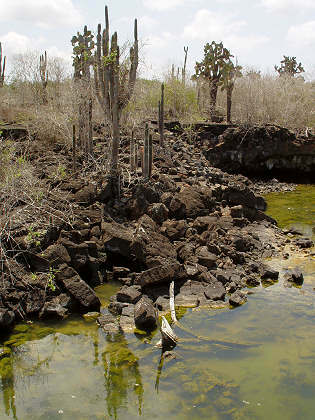 This is the scummy green pond in the collapsed magma chamber. 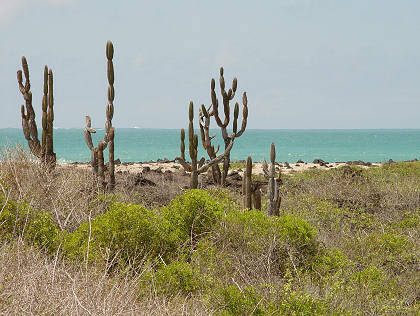 Candelabra cacti by the ocean. A cactus by the ocean. Marcie and David enjoying the scenery. Rocky surf. 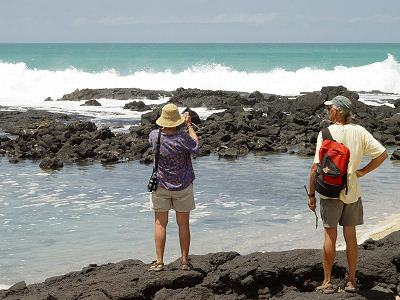 There are several marine iguanas on the rocks, although they are very hard to pick out, even in the full-size picture. 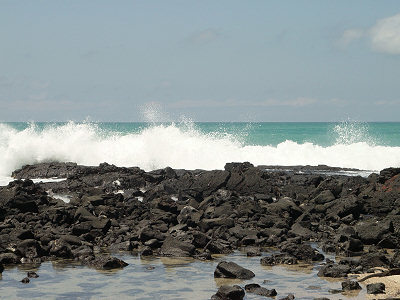 One of the beaches was composed of coral and shells, with a few basalt pebbles. The light sandy beaches elsewhere are made of ground-up coral and shells. 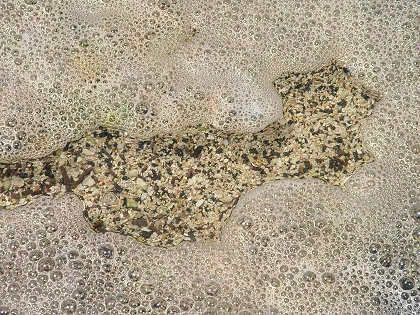 Being volcanic islands, there's no quartz sand.